Vietnam has undergone remarkable growth and development over the past 30 years. The launch of the Đổi Mới Policy in 1986 transformed the country from one of the world’s poorest into an emerging middle-income country. Favourable demographics, a rapidly expanding middle class, and continued industrialisation and urbanisation have spurred strong economic growth, making Vietnam one of the fastest growing economies in Asean. Averaging 6.2 per cent annual GDP growth since 2000, Vietnam comes close to rivalling China’s rate of growth; a country with which it shares many similarities, not the least being the gradual opening up of key sectors to foreign investment. The result? 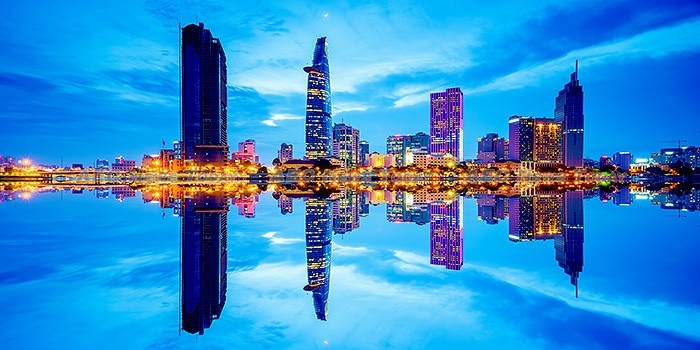 Vietnam and its major cities have become major magnets for foreign funds. 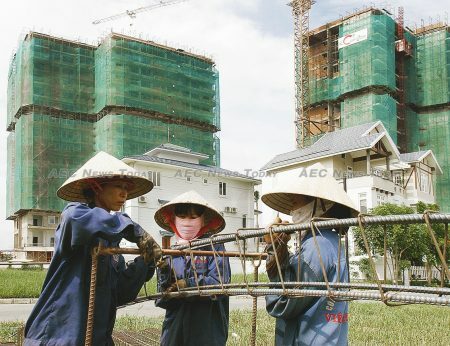 With the introduction in July 2015 of the Housing Law and the Law on Real Estate Business enabling foreign property investors to purchase and legally own residential property in Vietnam, the government has paved the way for the Vietnam residential property sector to experience the same success as others. The types of property the two laws enable foreigners to own include apartments, villas, and townhouses, as long as they are part of a development project. Foreigners, like locals, have the right to lease, trade, inherit, and sell their properties. The laws are also expected to spur growth in the Vietnam commercial and industrial sectors, with foreign companies and representative offices now eligible to purchase new and existing properties provided that they are purchased for business purposes. The regulatory changes have helped stimulate investor interest and invigorate the Vietnam property sector, making Vietnam one of the most attractive destinations in the region. As the economic centre and the most populous city in Vietnam, Ho Chi Minh City (HCMC) has particularly benefitted from the massive expansion of the Vietnam residential property sector. As a new and rapidly developing market, the HCMC property market is at the start of an upward trend in the Vietnam real estate industry life cycle. In 2015 the international nonprofit Urban Land Institute (ULA), and the UK-based multinational professional services network, PricewaterhouseCoopers (PwC), ranked HCMC fifth in terms of favourable investment prospects in the Asia-Pacific region behind Tokyo, Sydney, Melbourne, and Osaka. According to the ULA, HCMC is the second-most popular market in Asia for investment in residential apartments, with the HCMC residential property sector accounting for about 85 per cent of the HCMC real estate market. Despite this, the HCMC residential property sector has not been well-developed. Current supply is insufficient to meet the increasing demand from the local population and foreigner investors alike. As such, the HCMC residential property sector has been on an upward trend in recent years, with new property launches, good sales performances, and increasing primary sale prices. According to US-based professional services and investment management company Jones Lang LaSalle (JLL), HCMC had about 80,000 apartment units in 2016, with affordable, mid-range, and premium apartments constituting about 43 per cent, 42 per cent, and 15 per cent of the stock, respectively. So far foreign investors’ greatest interest lies in the premium apartment segment in District 1 (HCMC city centre) and District 2, where many expatriates and wealthy Vietnamese reside, as well as in properties along HCMC Metro Line 1. Last year 2,700 premium apartment units were released into the HCMC residential property sector, the highest number recorded in the past ten years. Some 98 per cent of the newly opened apartments were located in District 1, with similar premium and luxury projects being launched in adjacent districts. Offering lower interest rates than many less luxurious developments, these premium and luxury condominium developments have stimulated renewed investor interest in the HCMC residential property sector. With prices for HCMC luxury residential property projects relatively low compared to other cities in Southeast Asia, they are proving attractive to both foreigners and the rapidly growing number of affluent local consumers. The HCMC residential property sector is expected to introduce more unique offerings in 2017 and beyond to attract high net worth investors, with the premium and luxury apartment segment expected to maintain its high absorption level of above 50 per cent. As a result the stock of premium apartments priced above US$2,000 per sq.m (10.76sq.ft) is expected to double within the next three years. At the same time, the number of affordable housing units costing less than $45,000 is failing to meet demand. 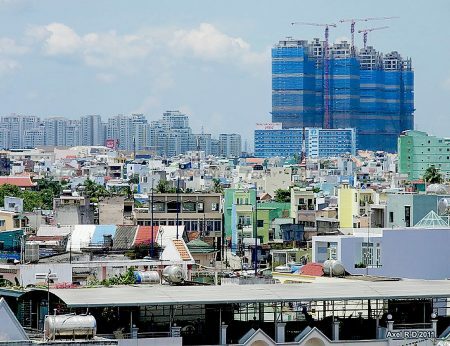 Based on current urbanisation trends The World Bank says Vietnam’s urban population is expected to reach around 50 per cent by 2040, creating demand for approximately 374,000 additional units in cities nationwide every year. To address the issue the government is seeking ways to encourage developers to undertake more affordable housing projects, with some expressing interest in targeting the less-tapped demand. In the next three years the HCMC residential property sector supply is expected to grow by 74 per cent. Nevertheless, the market is expected to absorb the increase, as the stock of apartments is low relative to the city’s population. 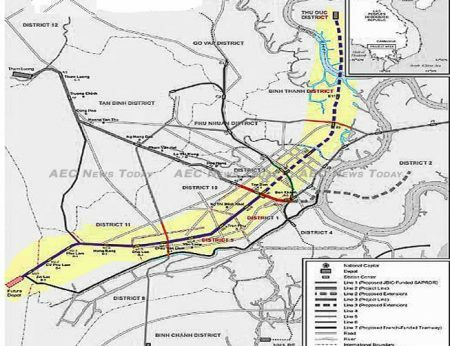 As HCMC Metro Line 1 continues cutting a path through Districts 1, 2, 9, Binh Thanh, and Thu Duc on its way to its 2020 operational date, it is inevitable that more apartments will parallel its progress; its 14 stations greatly enhancing accessibility of housing developments, making properties along its route even more attractive. HCMC property prices are still relatively low compared to those in other major Asean cities, with the Japan Real Estate Institute (JRI), finding the prices of newly built premium residential projects in HCMC much cheaper than counterparts in cities such as Jakarta, Kuala Lumpur, and Bangkok. Investors can expect a gross rental yield of 6-8 per cent and favourable capital gains in the medium and long term. The general affordability of premium and luxury residential projects that creates lower financial risks, coupled with favourable capital upsides, makes the HCMC residential property sector a competitive investment destination. As an emerging market, Vietnam presents substantial growth potential. The country’s economic growth, a burgeoning middle class, and rapid urbanisation remain the important drivers for expansion of the HCMC residential property sector. As such, demand for property in the city will remain strong as it continues down the path of becoming a major business centre and a vibrant Asean metropolis. Note: Taxes and fees associated with real estate investment in Vietnam comprise a registration tax (0.5 per cent), a value-added tax (10 per cent), an income tax on transfer of property (25 per cent on capital gains or 2 per cent of the transaction value) and notary fees of up to $460. Income tax is based on rental income and consists of a personal income tax (5 per cent) and a value-added tax (5 per cent). With a catalogue of more than 100,000 global listings from 55 countries, Tranio is a leading global real estate broker. Based in Moscow with offices in Spain and Germany, Tranio works In cooperation with leading private banks to assist real estate investors on acquisitions globally through a network of 500 partners.